More than 200 people are killed in gruesome deaths every year due to what’s known as “side underride crashes,” when a car slams into the side of a truck and crashes underneath it, shearing off the top of the vehicle and resulting in some of the most catastrophic trucking accidents out there. Experts have indicated that there is a simple solution—side guards—which would deflect cars; so why are these guards only required on the backs of trucks, and not on the sides? Media sources have revealed that key lawmakers who have the power to mandate that these guards be placed on the sides of trucks have received millions of dollars in campaign contributions from a transportation industry strongly opposed to new safety regulations involving these guards, creating an inherent conflict of interest and a lack of momentum to require the guards, in spite of clear recommendations from the National Transportation Safety Board to take action. The catastrophic impact of these accidents was highlighted in May of last year, when a self-driving Tesla hit a truck here in Florida, resulting in the death of its occupant. For many families, had side guards been mandated for trucks, they would still have their loved ones around, and this danger has been known for decades. Over 50 years ago, the death of Hollywood actress Jayne Mansfield in a side underride crash first sparked calls for both rear and side protections. In 1998, the National Highway Traffic Safety Administration first started mandating rear guards on trailers, but only issued a non-binding recommendation that all new trailers have side protection systems in 2014. The Truck Trailer Manufacturers Association his long-opposed side guard requirements, allegedly due to added costs and concerns that the guards would pose technical challenges, potentially even dangerously increasing the weight of the trailers. Side guards not only prevent some auto injuries and deaths, but also lower-force collisions involving pedestrians and cyclists. In addition, engineers are now working on developing lighter-weight guards. Still, many who have worked in this area speculate that hesitation from the industry has less to do with the practical limitations of implementation and more to do with safety standards increasing the price of a truck. The power now lies with both the National Highway Traffic Safety Administration— which can issue regulations mandating the side guards—and with the Senate Commerce, Science, and Transportation Committee, which can order the National Highway Traffic Safety Administration to act. 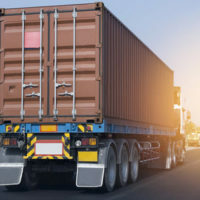 However, the Senate Commerce committee members have reportedly received more than $9 million in contributions from the transportation industry just within the last six years, with the trucking sector allegedly accounting for $1 million of that total. Being involved in or losing a loved one who has been involved in one in a side underride accident can be terrifying. Accident victims often find themselves not only dealing with massive medical costs as a result, but facing an industry with tremendous resources to fight just claims. Working with an experienced truck accident lawyer can help you understand what your rights are and where to begin. Contact one of our Fort Lauderdale truck accident lawyers at Friedland & Associates today to obtain a free legal consultation, and we’ll get started helping you.